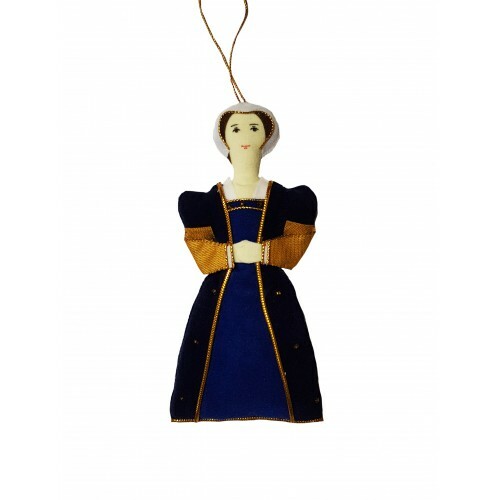 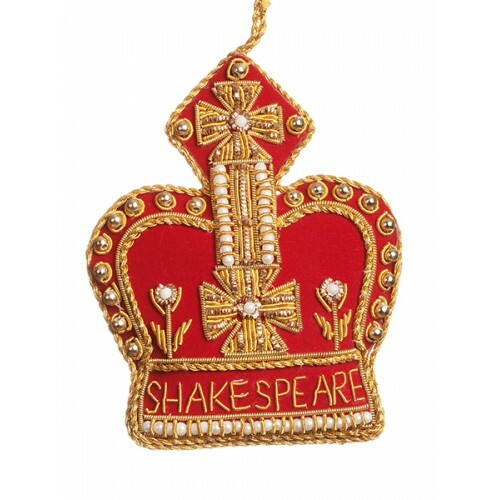 This embellished handmade Crown decoration is based on St. Edward's Crown, a golden headpiece made in 1661 from gold and now housed in the Tower of London with the Crown Jewels. 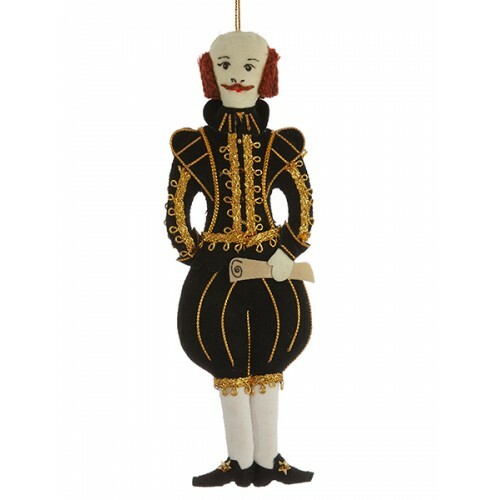 Here in red and gold with Shakespeare. 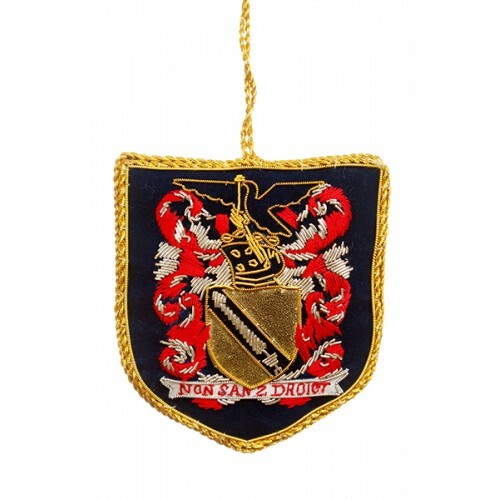 This wonderfully ornate crest is inspired in the bard's Coat of Arms, as seen in the 16th Century mo..